The 2015 Chevrolet Corvette Z06 is a performance dream ride that cranks out 650 horsepower and hits an astonishing 198 mph. Pretty amazing for a ride that only costs $78 grand, right? But what would happen if this mind numbing ride was elevated to an even higher level? Well, just ask Hennessey Performance. Recently, Hennessey embarked on a high-powered upgrade for one of this year’s best rides. The result… a 1000 HP package that helps the Z06 hit its full track potential. Making this possible, this upgraded Z06 features forged pistons and rods, a custom built HPE camshaft, and ported cylinder heads that help boost up the internals of the mighty 6.2 liter supercharged V8. Also helping fire up the power is the intercooler– which features a built-in heat exchanger unit that has been re-designed to allow more cold air to flow into the engine and enhance performance. As far as the interior and exterior modifications go, this specialized Z06 features a few small changes that are pretty much just aesthetic. Some of the changes include a custom Hennessey hood, custom exterior badging, and dsash and engine mounted plaques. Currently, we are waiting for more official performance numbers to be released, but there’s no doubt that those are going to be huge. 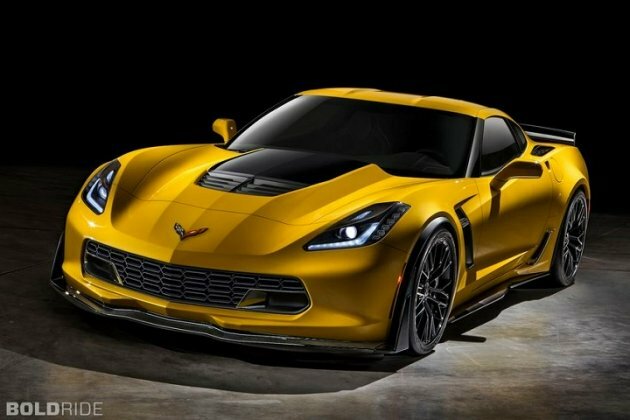 After all, the standard Z06 already hits 198 mph!! Stay tuned and we’ll bring you the updates when they come in. This entry was posted in GM and tagged chevrolet, chevy, corvette z06. Bookmark the permalink.